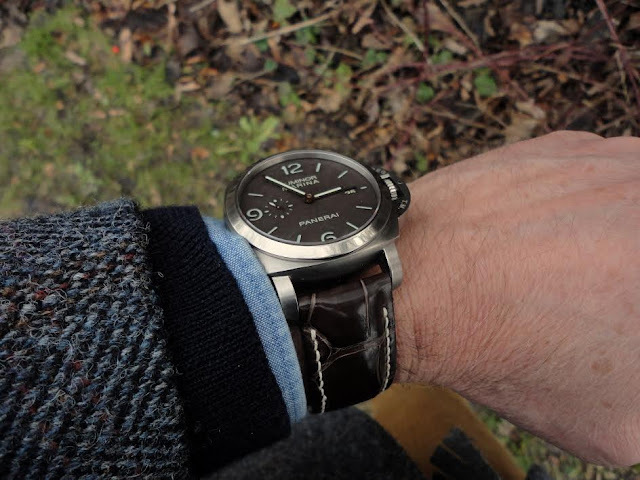 PAM351 on Tourbe Brune Alligator strap from Dangerous9strap's Manufacture Collection. These straps are available for immediate purchase. Please contact me at Dangerous9straps@gmail.com for complete details and pricing.